From left to right: Sandra Davis, Lea Redmond, and Anna Villalobos. Anna Villalobos is Oakland through and through. A third-generation resident, Villalobos was raised by her Mexican-American family and surrounded by African-American neighbors in West Oakland. That mixing of cultures was reflected in the food she ate as a kid. Villalobos fondly remembers white gravies over potatoes as well as her grandma’s layered enchiladas, served alongside rhubarb pie. This fusion is the driving force behind Oeste (730 Clay St.), an ambitious cafe, restaurant, and bar from Villalobos, Lea Redmond, and Sandra Davis scheduled to open in November. None of the owners explicitly come from restaurant backgrounds — although Villalobos is a co-owner of Miss Ollie’s — but they’re all passionate about food and their home city. They also want Oeste to serve as an example for the kind of socially minded restaurants they think Oakland should have more of. Located in the heart of Old Oakland, Oeste will have two storefronts: a small, daytime cafe serving coffee from Roast Co. and a selection of grab-and-go sandwiches and salads; and a bar-centric restaurant that will only serve folks 21 and over. They’re hoping to pull off the sort of lively bar you don’t see too much of in Oakland, where the drinks and atmosphere are as equally exciting as the small plates-focused menu. 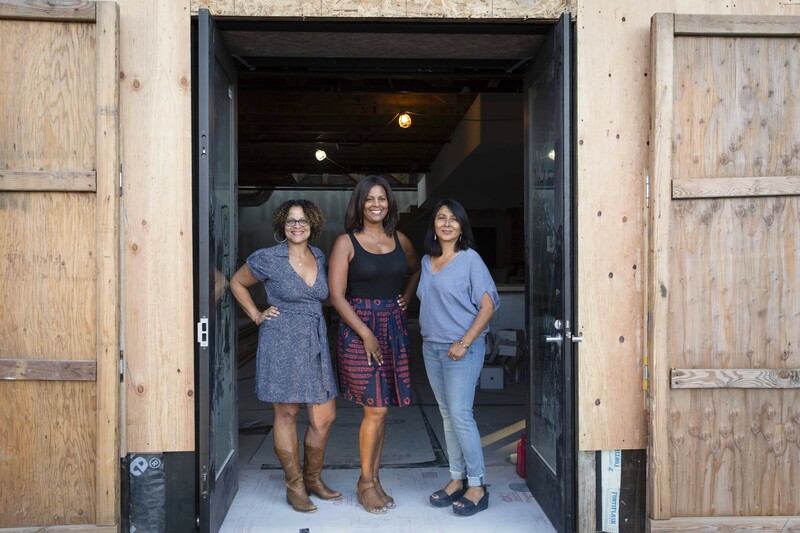 Going back to that fusion idea, the food will be rooted in Latin cuisine but also incorporate Asian, Middle Eastern, and American soul food flavors — all through the lens of California’s focus on organic, local ingredients. “We want to include the influences of what makes Oakland so special, which we’ve always believed is the diversity,” Redmond said. The trio hasn’t yet revealed who the chef will be, but Oeste isn’t going to be a chef-driven restaurant, anyway. It’s really about the owners’ collective vision. “We want to speak through our food,” Villalobos said. The concept originally began out of a desire for Villalobos to work with her son, Che Freeman, a bartender best known for his years at the now-closed Paragon at the Claremont Club & Spa. As the bar manager at Oeste, Freeman will focus on sparkling wine, wines on tap, and cocktails made with small-batch spirits. Oeste’s building dates back to the 1920s — a 3,000-square-foot brick, industrial shell that needed loads of work. The team also added a 1,500-square-foot rooftop deck. Redmond described the design as coming from a hodgepodge of influences, with an emphasis on color, comfort, and plant life. Oeste’s owners talked about a strong desire to make the restaurant socially, politically, and environmentally responsible. They’re working on a greywater system, for example, and hope to provide opportunities for people of color to grow professionally. Oeste, 730 Clay St., OesteOakland.com.